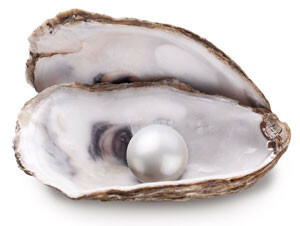 To get to the pearl you must open the shell. Build a culture of workforce openness and discover your own gems. Books, eyelids, convenience stores and even web browsers all have one thing in common… For them to function effectively they need to be open. The same is true of the employees in any team, department or organization. Engagement (and all the good stuff that goes with it) thrives in a culture where open communication and workplace relationships are strong. In fact, today’s workforce expects nothing less as they are used to posting their life stories in various public, online outlets. This bi-directional distribution of thoughts builds trust and helps advance any initiative, activity or project involving more than one person. It also ensures transparency and facilitates the dissemination of current status and issues in an ever-changing situation. Lack of openness can create mistrust between employees, lead to hidden agendas and be detrimental to the team, attitude, work and productivity. Don’t assume people hear what you say. Build a culture of workforce openness and discover your own gems. Don’t assume you heard what the other person said. Be honest, but do it skillfully and tactfully. Blunt, straight-talking managers frequently close down relationships leading to a speedy disconnect. Instead, ensure you express your message in a manner that people will be receptive to by using techniques such as making the audience (individual or group) the start point of conversation, asking for feedback on an idea and if there are issues to address, never blame or accuse but instead make it a problem-solving exercise. Encourage employees to express their needs. It will always be better to have employees that open up and articulate their needs rather than keep them under wraps and trying to meet them at the expense of others. This can be done via proactive feedback in 1×1 sessions or in a group setting such as monthly meetings. Give thanks and recognition……every time. Realize that (in almost all cases) what the other person is saying is true for them. Don’t judge prematurely or jump to say something even if you disagree or know what they are saying is inaccurate. Let them finish then talk it through. This will maintain trust and ensure they come back to you next time rather than run to someone else. ‘Walk the job’ on a regular basis…but don’t encroach on people. Simply stopping by and asking how they are or if there is anything you can help with will show them that you genuinely care. If something is on their mind they will more than likely bring it up and you can discuss it there or schedule something with them to talk it through. On the other hand, invading their workspace and talking specifics will appear blunt (see above) and micromanaging – even if you have good intentions. Employee Engagement will flourish when the workforce is comfortable with having open communication with their bosses and peers. When they don’t feel intimidated, know their opinions matter and are kept informed, employees will be much more relaxed, motivated and productive. Ill-advised words from a boss, or dismissed words from an employee are a bit like an impenetrable pearl shell in that no-one benefits and frustration ensues. But when openness permeates the business, who knows what jewels may be found.